With Our Commercial Cleaning Services! With Our Professional Cleaning Services! 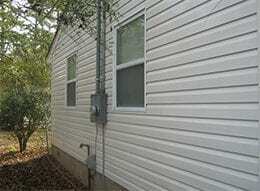 Hot Water Pressure Washing & Soft Wash has been keeping Tallahassee clean since 2012. We are a professional, fully insured, and locally owned company, offering many types of exterior cleaning services for residential and commercial customers. Contact us for a free estimate! 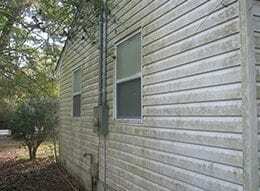 Hot Water Pressure Washing provides the best deep cleaning for your home! Our safe & effective techniques leave your home spotless. Soft washing your roof will not only save you thousands, it can also increase the life span of your roof. Our roof wash is safe for all types. 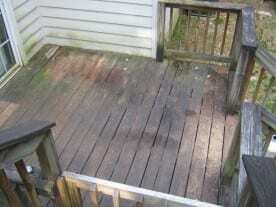 Our weather in Tallahassee is harsh on your concrete driveway, walkway, pavers & patios. Increase your curb appeal with our concrete cleaning. Our complete service can turn your screened in pool enclosure or screened in patio enclosure into an oasis again! 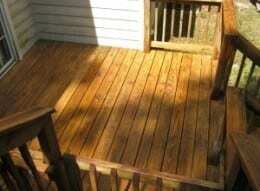 Call us for an estimate. From storefront walkways to dumpster pads, Hot Water Pressure Washing can help keep your commercial concrete areas clean and safe. Commercial building pressure washing is our specialty! We are commercially insured and can handle everything from the roof to the entryway. What Is Soft Washing ? Unlike “pressure washing”, which relies on the high pressure force of water to remove dirt & debris, “soft washing”, uses a formulated blend of soaps to safely loosen contaminants allowing them to rinse away by using low pressure, and it prevents permanent damage caused by excessive pressure. A typical pressure washing machine uses approximately 3000 psi and higher, when we are soft washing, we are only using around 100psi or less. With the proper soft washing equipment we can safely clean two & three story buildings from the ground without the danger of working from a ladder! Will you be using hot water? In most situations, YES. It’s a known fact that cleaning with hot water cleans better than cold water. All of our units are capable of producing water temperatures up to 250 degrees. This is a big advantage for cleaning that contains any type of grease, grime or oil. For our residential customers, it is a great advantage and for our commercial customers it’s a MUST! How often should I have my home cleaned ? We recommend having your home washed annually or semi-annually depending on the type of siding and location of your home. Keeping your homes exterior clean of organic matter will not only keep mold and mildew to a minimal but also keep your home looking its best.